Its been the very picture of domesticity in the pyjamas household this weekend. 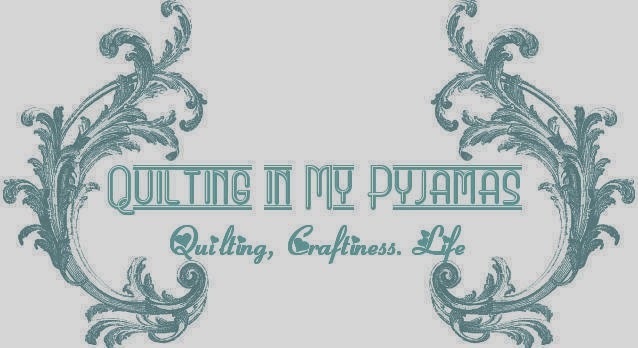 Quilting, baking and decorating. I didn't touch a single cleaning product all weekend, and I didn't wash clothes and I don't feel one bit guilty. But I might feel like a tool tomorrow when I'm forced to go to work naked. On Friday my blog disappeared. Yes- totally disappeared. People who visited got a message saying that it had been deleted. Apparently there was some suss activity on my account so my blog was suspended. For one brief moment I wondered if google counts the swear words on your blog and cuts you off when you reach 1000 or something. After my whiny Tuesday post about lost mojo and my quilt avoidance (yada yada yada) all of sudden the quilting fairies decided to smile down on me and throw a ton of motivating quilty type feelings in my direction. So on Friday with 4 seams left to go before I finished the Merry Go Round quilt top I discovered I'd sewn two blocks arse up in the middle of the quilt . It was a real slap yourself in the forehead/send-an-email-to-little-Miss-Sunshine with bad swear words in it kind of moment. I'm lazy and thought about leaving it but sanity prevailed and I spent some time cuddling up to my unpicker and muttering bad things under my breath. For the main event I cut the backing for this quilt all wrong which meant I had to use 4 pieces instead of 2 . And for the finale when I was squaring the backing I managed to somehow neatly slice my backing in half ...Hi my name is Shay and I'm a dumb arse. Anyway it's finished and off at the Quilter so she can work her magic because as far as this quilt is concerned I used up all my brilliance matching up the 4726 seam on the half hexagons. The Wonky Block Quilt has been quilted and I'm thrilled with it. I've attached the binding to the front and am planning a finish this week but I can't resist giving you a sneak peek. I've decided to call this quilt "A Day at the Beach". My quilting guru is a goddess. Plain and Simple. And the Blue and Brown quilt (which I have decided to name "No Frills") is about 80% quilted. I am a bad sewing machine mama since this is what I found today when I finally went to clean out the guts of my machine (it's been a while ) . Thank goodness they don't have a department for cruelty to sewing machines ...on the positive side I now have enough fluff to stuff a cushion. In between all this frenzied activity I managed to put my Christmas tree up, decorate the outside of the house, bake a chocolate tart, do some Christmas shopping, go to the quilt store, nick into Spotlight, buy some more Christmas decorations (like we need any more ) and I squeezed in some Bella time with this little guy who is sleeping over tonight. And Mr. P changed his first ever crappy nappy. Alert the media. Work is about to get insane for me for the next couple of weeks because it's the end of the school year. So I may not be around all that much for a bit. If I dont comment or respond to email it's not because I dont appreciate each and every one of you - it's because I've fallen asleep face first in my mashed potatoes at tea time. Whew! Glad your blog is back up! You were quite the domestic goddess this weekend. I'd have left the quilt the way it was stitched. You know you're are in my Quilter's Hall of Fame for even attempting hexagons. ☺ That Little P is just darling! Bet he's having a blast at Bella's. I can hardly type cause I'm laughing so hard about the 'crappy nappy'. Thanks for the giggle. Happy Sunday night! Exactly, probably to the millionth fabric fuzz microstrand, situation with my machine yesterday ...so glad these machines are forgiving! I can't wait to see the finishes! If you got some mojo going on on Friday it might be mine - Thursday was the last day I saw mine but it might be here under the piles of laundry, I haven't checked yet. Maybe we should come up with some sort of time-share, since I really only need it between the hours of 11pm and 4am? Always enjoy your posts!! Congrats on all you've accomplished! Go Shay go! You done good this week. And little P is adorable! Oh wow, you were busy even for you! What vitamins do you take? Love your A Day at the Beach quilt, beauriful quilting and such pretty colors. I didn't face the alarm of seeing that unavailable message, thankfully, and am glad the swear word count was just under the max so you're back in business. I back up my blog semi-regularly but have found that I have to use a different browser than IE to do it! Anyway, lots of great quilty stuff to see here! Glad your mojo returned and didn't allow you to rest until a finished top and back were crossed off your list! Love the Beach quilt and can't wait to see the finished quilting on the No Frills. Bella time looks bliss with that little guy!!!! You're quilting up a storm over there!! Go Shay!! I hope the lead up to silly season isn't too crazy for you. The hexagon quilt looks fantastic. And I am wondering how Mr P has got away with only ever changing 1 crappy nappy didn't little P live with you for a while?. My hubby swore he wasn't going to do any, but being the control freak he is we didn't get out of the hospital without him getting his hands dirty so to speak in the end he had a system, always took 5 times as long as me but at least he did it. My Chrissy shopping is almost under control, xmas sewing not so much. Yeah...go Shay go!! I am glad the quilting fairies found their way to your place. Seems to me they are really doing a great job. In case you don´t need them for a while cause you have to work..would you mind sending them over...I could use a little quilt magic over here as well. Goodness me, you've been possessed by some quilting demon with energy that is of another world!! Slow down so you can actually enjoy Christmas when it arrives. But well done on what you accomplished. Wow, you've sewed up a storm in the last few days. I've seen more than a sneak peek of A Day at the Beach and it is absolutely beautiful. I love your colour choices and the quilting is perfect for it. MGR is going to be another stunner too. I don't think I could ever get all those seams to match. I'm amazed too that Mr P has been able to get out of nappy changing until now. I hope he makes up for it! Little P is soooo darn cute.I just want to squeeze his cheeks. That's terrible about your blog - glad it's going again! You are hilarious! Congrats on a productive weekend! Always nice to know there are others whose cleaning products collect dust. I didn't do laundry last weekend and somehow made it through until today. the MGR quilt is really nice. Can't wait to see it finished. Am also looking forward to the reveal of "a day at the beach". Can you send some sewing mojo my way? I think I can use it when you and Sara are both sleeping and/or working. I think you have been sneaking around at night nicking everybody's mojo....all just fantastic. I hope things don't get to crazy for you and you get ome down time. Go to work naked. You might get a raise! Gorgeous Merry go Round - the colours are perfect - what's with all the unsewing in precious sewing time? Cute Little P enjoying the sunshine. Don't let the work stuff take all of your energy. If I ever got through a project without having to apply the ripper one (or 1000) times, I'd think something was wrong with the quilt! Just repeat after me: "The ripper is my friend..."
Whoa!! It makes me exhausted to read what you can accomplish in one weekend!!! I really love that beachy quilt so aptly named too! I am terrified of hexies, or actually anything other than straight lines. I need a big dose of that mojo if you are so inclined to pass it my way. I hope you enjoyed your time with the precious little one! There is nothing like grand-baby snuggles! That peek of quilting on the wonky block quilt looks awesome! Yay for the MGR quilt, except the two blocks that were arse up. That is a hilarious bit of verbiage, by the way. Glad you got your mojo back on! I secretly love it when there is a lot of lint to clean out of the sewing machine. It really isn't fun if you don't have anything to show for your effort. However, one of the first lessons I learned when I started sewing as a child is that you have to clean your machine regularly if you don't want to lose your sewing privileges. So, I adhere to a strict rule of taking out the bobbin case and dusting out where I can reach with the brush every time I change a bobbin and I take the face plate off and open it all the way up to get to all those places I can't reach after I finish one major project (or a couple of little ones). I'm not sure who would take away my privileges now, except for maybe the sewing machine repair man. Grasshopper commented on how cute Little P is. He was interested to know that he lives in Australia. I agree with Grasshopper about both things. Wow !!!! I'm exhausted just reading that !!! You know, I can read your posts over and over and they bring a smile to my face every time. There are so many fun images in them to make me laugh out loud (you going to work naked, you slicing your backing in half, you asleep in the mashed potoatoes...). Thanks for the giggles! He is beautiful and getting so big. See you in your quiet time, Shay!